The paper has two main aims: the main body of the paper discusses the potential contribution of epidemiological methods to the evaluation of CT and in particular its technological matrix. I will come back to that in a moment. 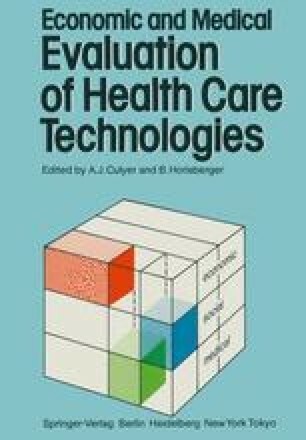 Secondly, the appendices present epidemiological critiques of some of the research methods used in the literature to estimate such technology matrices. I do not propose to say anything about the appendices since I think they represent a review of the material to back up the general statements made in the main part of the paper. So I am simply going to comment upon the main part of the paper.